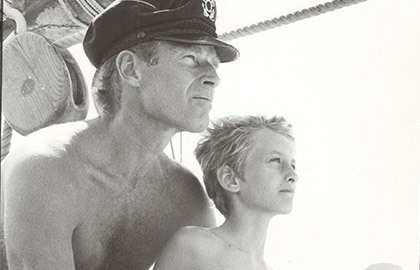 Fraser Heston, the son of late Hollywood megastar Charlton Heston and 93-year-old actress Lydia Clarke, jokes that he "won the parent lottery." 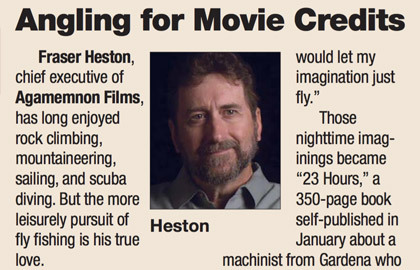 Heston referred to his parents as "'Greatest Generation' midwesterners … Real solid, down-to-earth people," and called his father "a really good mentor for me in a lot of things." Marked by Chris Rock’s brash, gut-punching commentary about Hollywood’s racial divide, Leonardo Dicaprio claiming his first Oscar win, Lady Gaga delivering an emotional performance and Brie Larson’s touching acceptance speech — the 85th annual Academy Awards was surely a night to remember. 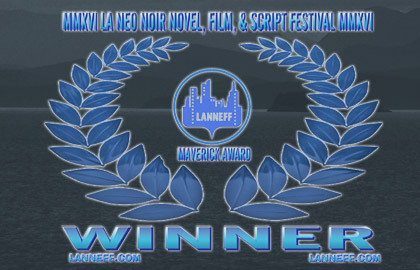 DESOLATION SOUND WINS MAVERICK AWARD FOR LA NEO NOIR NOVEL. Fraser C. Heston and Heather J. McAdams’ novel DESOLATION SOUND just won the Maverick Award for the LA NEO NOIR Novel, Film and Script Festival. "The Maverick Award is an award for projects that go their own revolutionary way in the genre of neo noir as a groundbreaking, forward-moving pioneer of the genre." 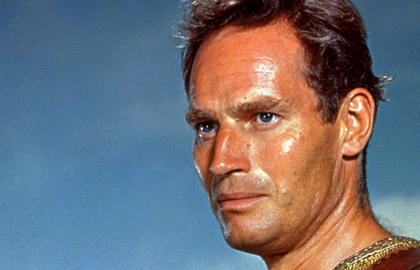 Charlton Heston's Kids on Oscar-Winning 'Ben-Hur': "It Was a Big Risk for Him and the Studio"
Fraser Heston says his earliest memory "is riding the chariot on the set of Ben-Hur with my father." 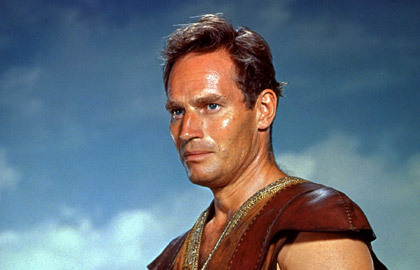 Charlton Heston's son, a writer-director in his own right, also appeared in Cecil B. DeMille's The Ten Commandments (1956) as baby Moses (his contract was "signed" with a print of his foot). After playing the adult Moses, Charlton starred in William Wyler's 1959 epic about a Jewish prince forced into slavery and took home the Oscar. 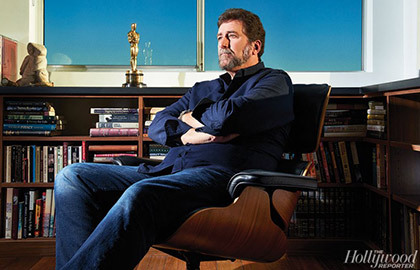 "Ben-Hur was a big risk for him and the studio [MGM]. 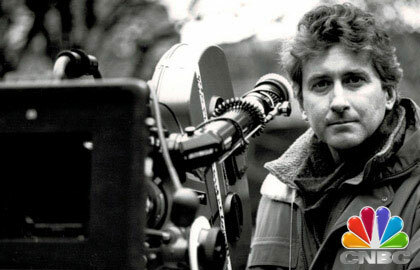 When he won, I think he finally felt validated as an actor," says Fraser, 61. 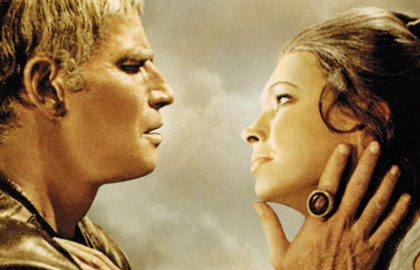 It was to be Heston's only Oscar nomination for acting, but in 1978, he won the Jean Hersholt Humanitarian Award, honoring his longtime advocacy of civil rights, notably as part of a Hollywood contingent that included Sidney Poitier, Marlon Brando and Bob Dylan, who all marched on Washington with Martin Luther King Jr. in 1963. "This move was ill-advised, ill-considered, possibly illegal, and in essence just all kinds of wrong," Fraser Heston states. Fraser Heston has responded to an email from the Academy with a rebuke that invokes father Charlton Heston's presidency of the Screen Actors Guild and his marching with Dr. Martin Luther King. 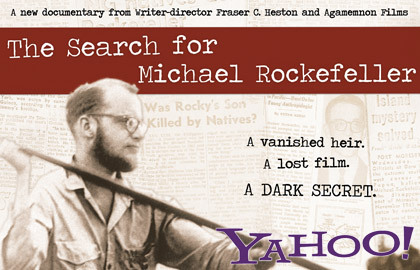 LOS ANGELES, Nov. 23, 2015 /PRNewswire/ -- AGAMEMNON FILMS, founded by film-maker Fraser C. Heston, is pleased to announce that the award-winning documentary, THE SEARCH FOR MICHAEL ROCKEFELLER (which premiered on Netflix last February) will now be available on DVD through Strand Releasing, on November 24th, 2015. Inspired by the real-life, unsolved mystery that began in 2007 when severed human feet in running shoes started washing ashore in BC. Since then fourteen more human feet have been discovered. Heston and McAdams team up to explore the mystery behind these gruesome discoveries in this exciting new novel featuring former Seattle detective, Jack Harris and RCMP Corporal Liz MacDonald. 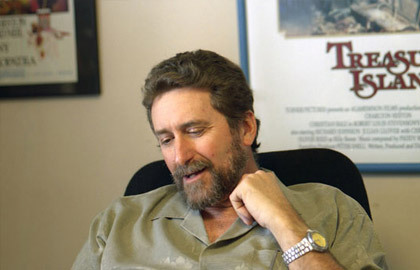 Filmmaker, producer, writer Fraser C. Heston, whose films include TREASURE ISLAND (with Christian Bale) for TNT, Steven King’s NEEDFUL THINGS, ALASKA, and award-winning documentary THE SEARCH FOR MICHAEL ROCKEFELLER, which is currently airing on Netflix and being developed into a full length feature, has signed with Michael Mann of Michael Mann Management for representation in all fields. 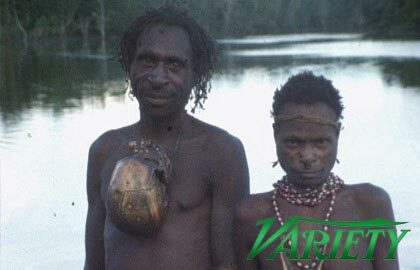 A Rockefeller Lost to Cannibals? What happens when you craft a film about a rich and sensitive young lad from an iconic American political family who disappears from the planet and it’s likely he was stabbed, beheaded and then ritually eaten by cannibals in 1968? Better still, unlike any vampire flick, this one is true? 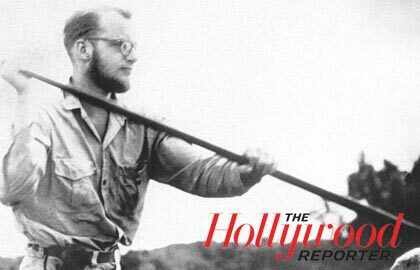 Netflix just released such a documentary film, The Search for Michael Rockefeller, a Fraser C. Heston film from his independent studio Agamemnon Films. 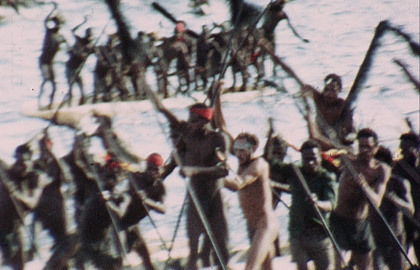 Is this proof a lost Rockefeller heir joined a tribe of naked cannibals? 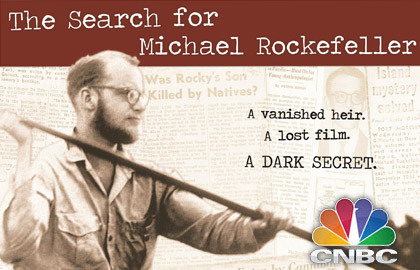 The public will finally get to see “The Search for Michael Rockefeller” Feb. 1 when Netflix releases the documentary on one of the most compelling unsolved mysteries of the 20th century. 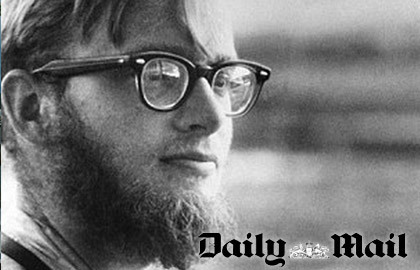 The film confirms what The Post reported in 1968: Cannibals devoured the son of New York Gov. Nelson Rockefeller. 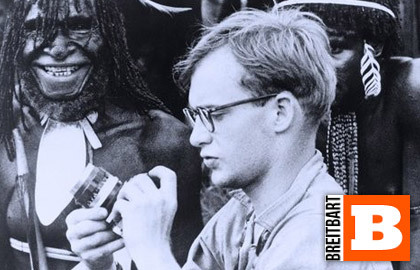 A documentary film which confirms that Michael Rockefeller, the youngest son of former Vice President Nelson Rockefeller, was eaten by cannibals in New Guinea in 1961 is set to be released by Netflix in the new year. 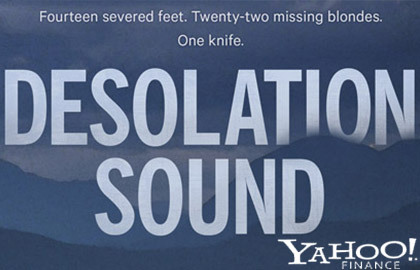 The film confirms what The New York Post reported in 1968 — cannibals devoured the son of Gov. Nelson Rockefeller. 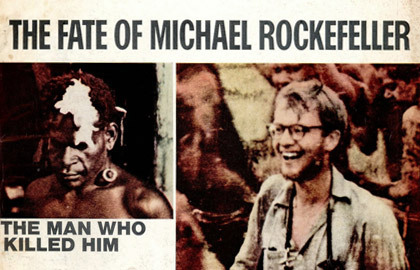 A documentary that will debut on Netflix next year will reportedly provide new evidence that Michael Rockefeller, the son of former Vice President Nelson Rockefeller, was eaten by cannibals in New Guinea in 1961.
founded by Fraser C. Heston and his father Charlton, is pleased to announce that NETFLIX has acquired subscription VOD rights to their award-winning documentary, THE SEARCH FOR MICHAEL ROCKEFELLER about the disappearance and ultimate fate of the Rockefeller scion in New Guinea, written, directed and produced by Fraser C. Heston. Airdate on Netflix is set for February 1, 2015. Fraser C. Heston says he never saw Jim Carrey’s video blasting his late father, movie legend Charlton Heston, for supporting the Second Amendment. “I wasn’t avoiding it. I just never got around to it,” Heston says of “Cold Dead Hand,” Carrey’s anti-gun song that directly targeted the “Ben Hur” star last year. 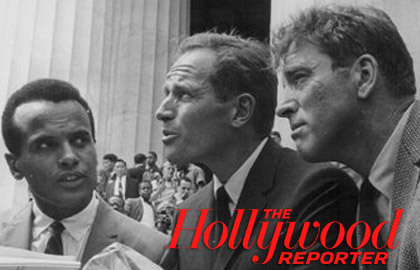 Agamemnon Films, founded by Fraser and Charlton Heston, will explore the mysterious 1960s death of a member of one of the most powerful families in American history. 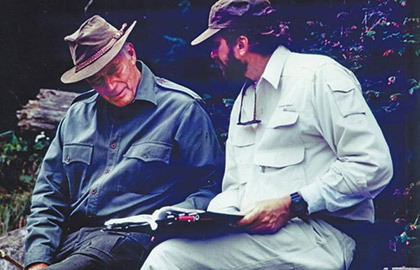 Fraser Heston and his Agamemnon Films have developed a feature film about Michael Rockefeller, a member of one of the most powerful families in U.S. history whose disappearance off the coast of New Guinea in 1961 triggered a media firestorm. 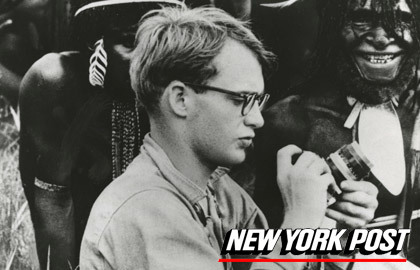 Writer-director Fraser C. Heston has discovered a treasure trove of lost footage shot by adventure-author Milt Machlin during his expedition to the cannibal coast of New Guinea in 1969, in search of the lost scion, Michael Rockefeller, son of Governor Nelson Rockefeller. 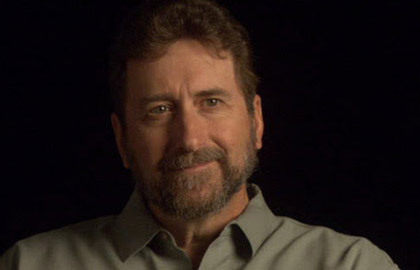 The film includes previously unseen footage and interviews, including some startling new never-before-released material, which sheds new light on the unsolved mystery of Michael’s disappearance. 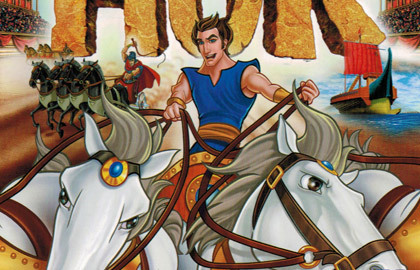 Burbank, Calif., December 6, 2010 – Warner Home Video (WHV) today announced an agreement with Agamemnon Films to acquire the worldwide home video, video-on-demand, and digital download rights to six Agamemnon projects starring the late Charlton Heston. 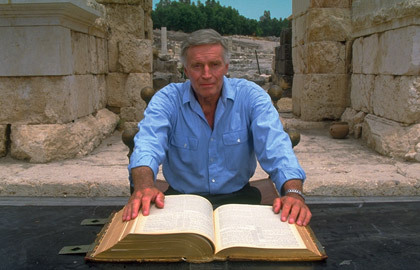 Heading the list will be the four single DVD releases of the acclaimed four-film documentary Charlton Heston Presents The Bible (CHPTB), hosted by the Oscar-winning actor, which will be released on March 29 to coincide with the Easter Holiday. 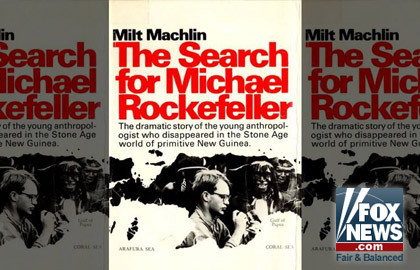 HOLLYWOOD -- Helmer Fraser Heston has acquired rights to the late Milt Machlin's 1972 tome "The Search for Michael Rockefeller." Book recounts the true story of the disappearance of 23-year-old Rockefeller, son of then-New York Gov. 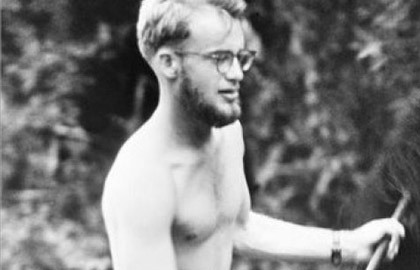 Nelson Rockefeller, in the jungles of New Guinea in 1961 and the search for him seven years later. 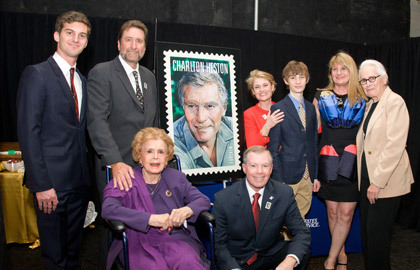 Turner Classic Movies (TCM) and the United States Postal Service® (USPS) will salute Charlton Heston with the issuance of a brand new commemorative Forever® postage stamp featuring the Oscar®-winning actor. The official First Day of Issue Ceremony will take place at Hollywood's historic TCL Chinese Theatre IMAX® on Friday, April 11, at 10 a.m. during the 2014 TCM Classic Film Festival. HESTON'S AGAMEMNON FILMS ACQUIRES "THE BIBLE"
Agamemnon Films, the production company founded by Charlton Heston and Fraser C. Heston, is pleased to announce it has re-acquired world-wide rights to the four-hour performance-documentary production, "CHARLTON HESTON PRESENTS: THE BIBLE", from GoodTimes Entertainment, which filed for Chapter 11 Bankruptcy last year. 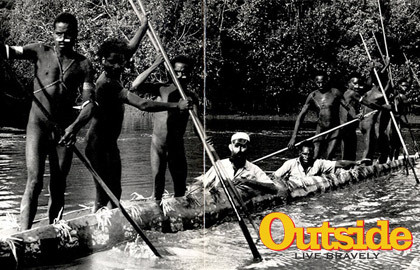 Four men realize their lifelong dream in the world’s most terrifying and awe-inspiring waters. There is something magnificent about Cape Horn. It is a place of elemental power, of primordial energy; wind, sea, rock, ice, rain, sun. All in perpetual motion and conflict, and also in perfect balance. To navigate a small craft around the Cape and through the islands of the archipelago immediately to the north of it is one of the most challenging and exciting experiences a yachtsman can ask for. 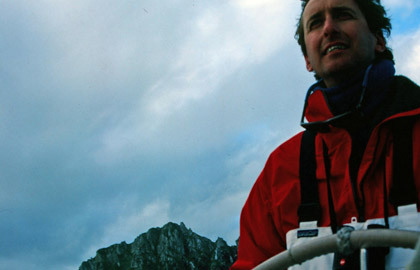 Cape Horn. Cabo de Hornos. Cape Stiff. The name resonates with legend.